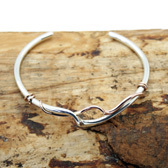 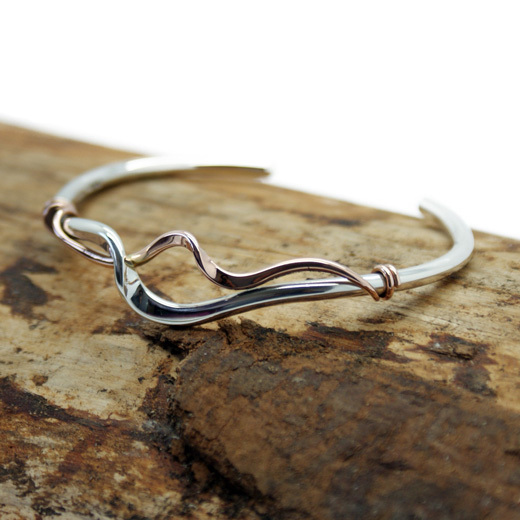 A very stylish open bangle from the Yulan range, with a twisty and wavy design in weighty sterling silver. 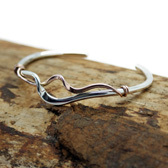 One of the wavy twists on this bangle is in 9ct red gold. 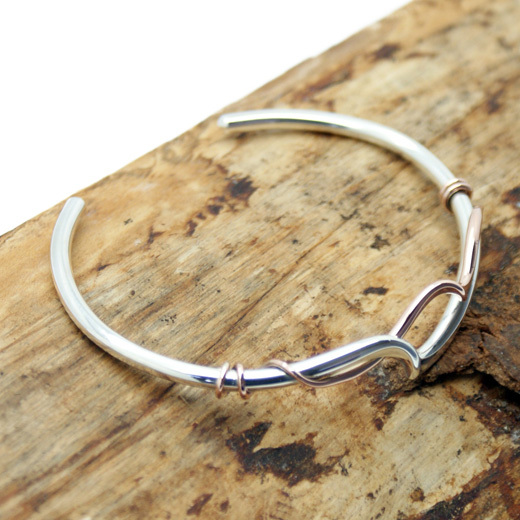 This lovely double cuff would look good on your wrist and is suitable to wear with any outfit during the day or at night.